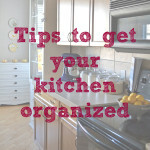 This time of year has me motivated to organize my life a bit, so I started in my kitchen. 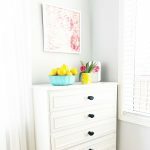 Here’s what I do to try to help the heart of my home run more smoothly. 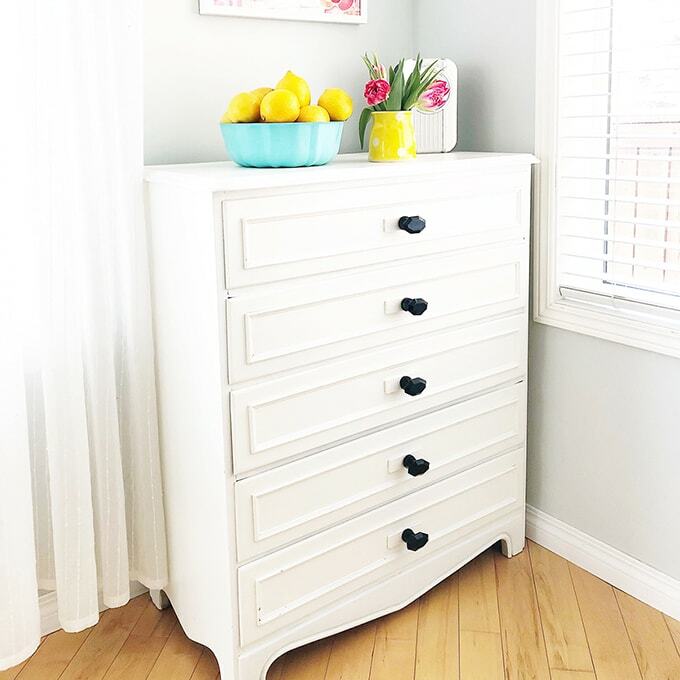 One of my favourite ways to organize in my kitchen, is with a chest of drawers. 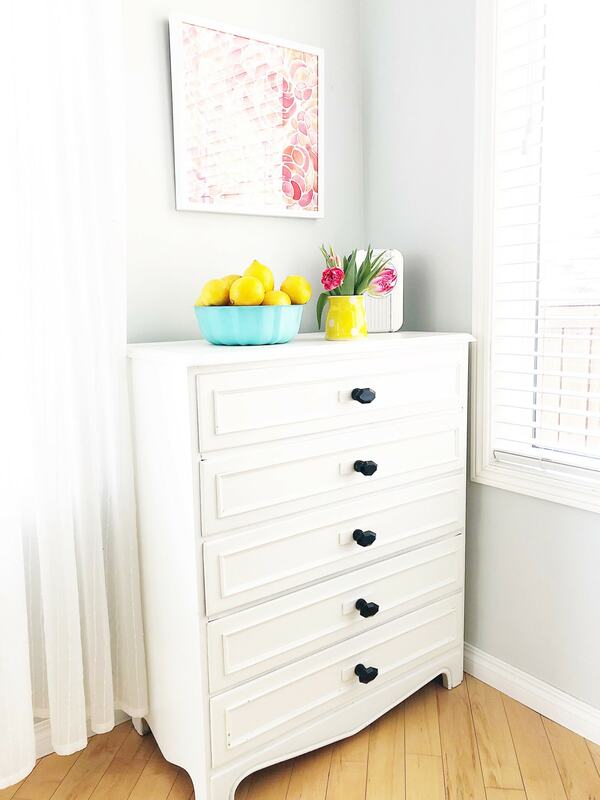 I use it to store all my kitchen linens, towels, napkins, napkin rings and various small kitchen knick knacks that I don’t know where to store. I also love to use containers of all kinds to store things. 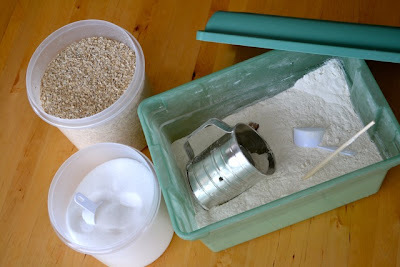 I use a large tupperware containers to store my flour, sugar and rolled oats. Keeping measuring and levelling tools in the containers is also very handy. One day I dream of having specific kitchen drawers to hold things like flour and sugar, just like my Grandma’s farmhouse kitchen. 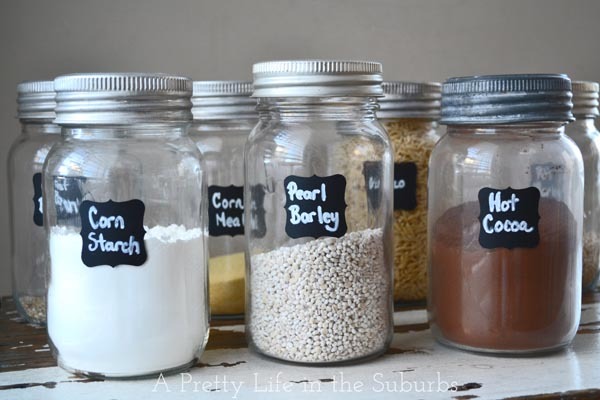 I love using old mason jars to store pantry items like cocoa, corn starch, oat bran, salt and flavoured sugars. 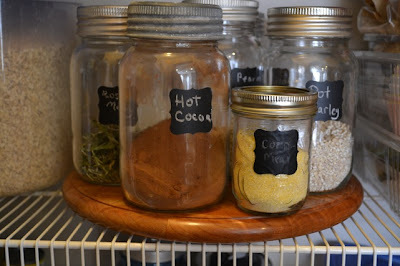 For easy organizing I labeled my jars with chalkboard stickers. 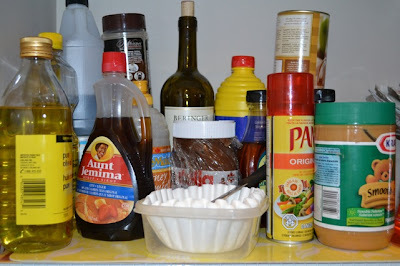 A lazy susan in the pantry is great too, having the rotation makes it easy to find my staples. 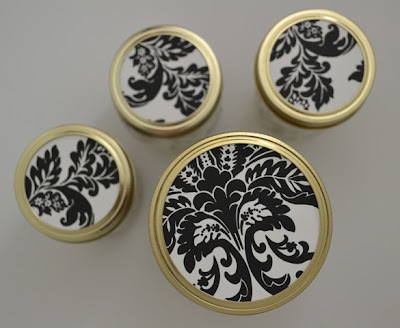 And of course, you have to make things look pretty, so I decorated the lids of my jars. Seems a little silly, but whatever makes me happy right?! 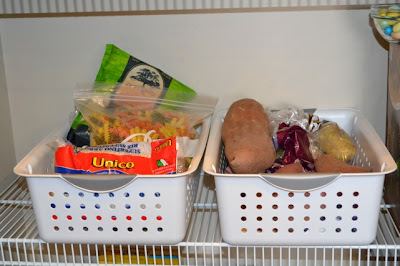 I also use bins to store miscellaneous bagged items like soup packets, pasta, potatoes and onions. Did you know that potatoes and onions should be kept separate, or your potatoes will turn green? Good to know. 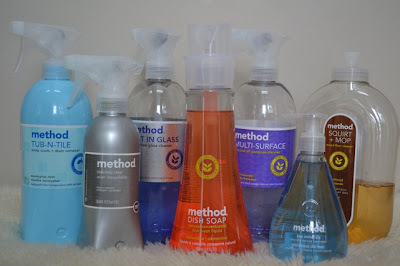 I also make sure I’m stocked up on great cleaners. 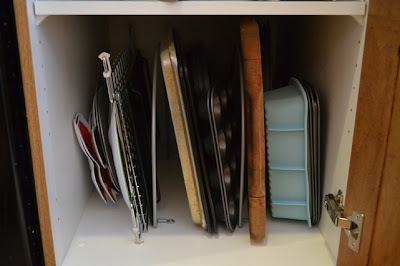 And to keep my baking cupboard tidy I installed wire dividers in my cupboards for my baking sheets. Saved my life. Ok, maybe not that dramatic, but there were many bad words uttered before these were installed, and pans flew out when the door opened! 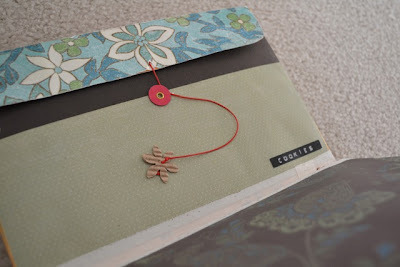 To keep all my recipe cards and magazine clippings organized, I use a this recipe filing system that I made with scrapbook paper and shipping envelopes. 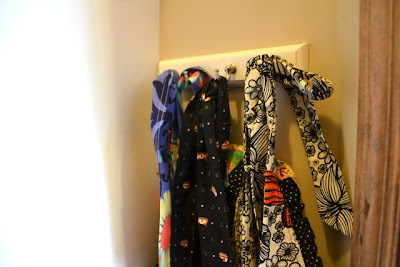 I installed a tiny hook organizer (it’s for keys) inside my pantry, so now my aprons are within easy reach. 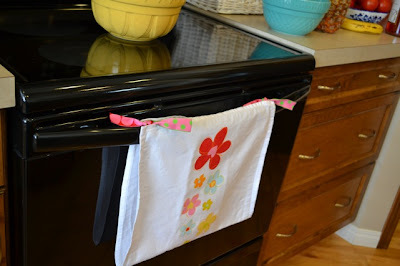 I place a placemat under drippy bottles like syrup and oils, and it saves me cleaning time. 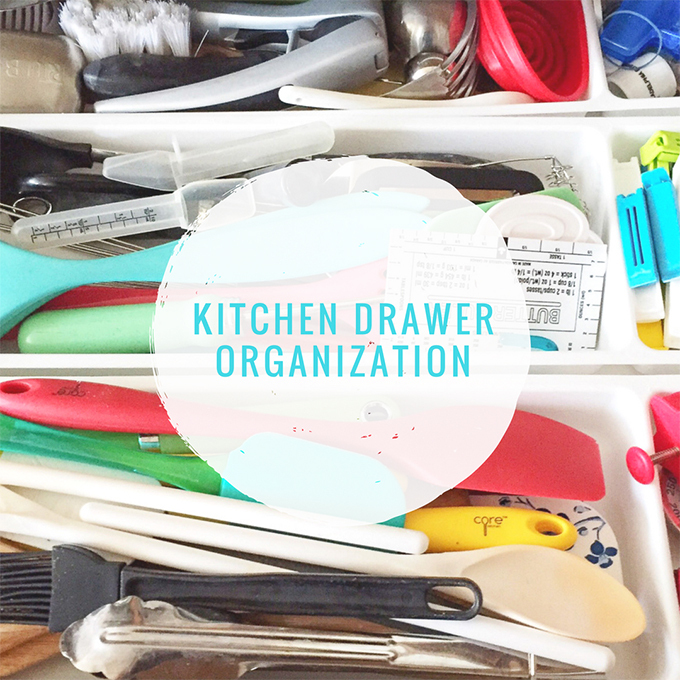 There is so much more that I could do, but organizing is an ever evolving and changing task. I will clean and organize something one day, and the next day it’s crazy again. But that’s life, and I do what works for our little family of 5! Thank you so much for this post! We have a TINY kitchen and A LOT of people and this is just what I needed to get me started! Thanks for all the great ideas! 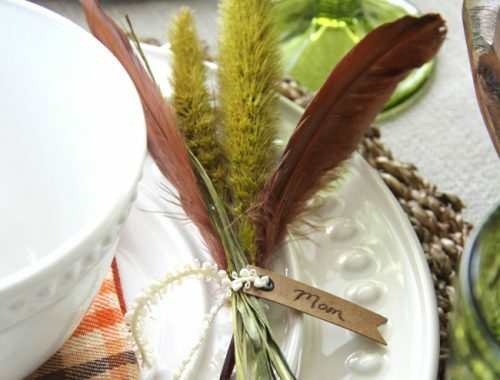 Love how you decorated your mason jars! I think I may have to search through my unused scrapbooking paper for ideas. some really great ideas here! I love organizing in the kitchen. It looks great! I like the flour container. Great idea. Thanks for sharing your kitchen ideas with us. Lovely. I really love all of these ideas! 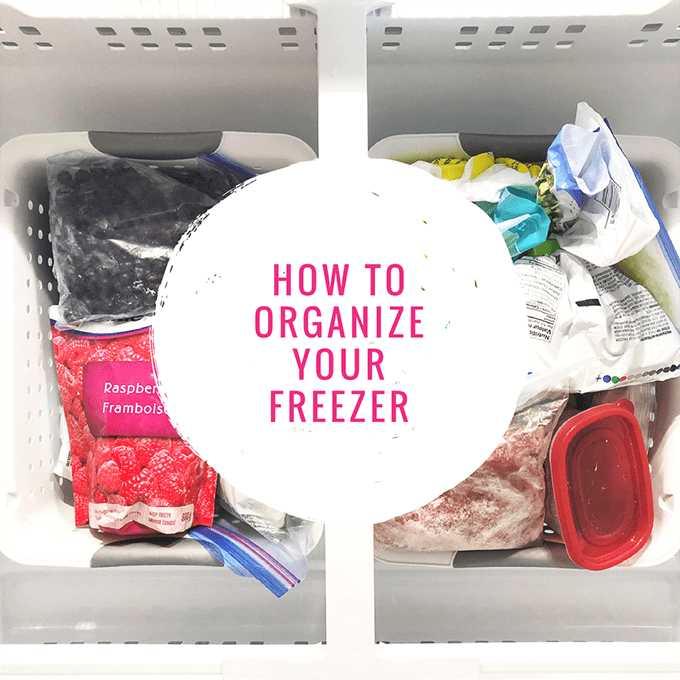 We are getting ready to move into our first house- and I cannot tell you the amount of time I spend drooling over the PANTRY and all my ideas for organizing it (we have a total of 4 tiny food cupboards in our apartment)! And, silly or not, I’m totally going to rip off your decorated mason jars 🙂 And the secured tea towel is absolutely brilliant! My two year old seems to have a tea towel fetish and I usually get them a total of 5 minutes in the kitchen. Thanks for all of the inspiration!!! this looks good! :)stopping by from iheartorg. Great ideas, but I really had to laugh at the tea towel! I’m about ready to go do the same thing and get my own small amount of pleasure when my 15 month old son tries to pull our towels to the floor, lol. Some day’s I just wish one thing would stay where I put it. What an inspiration! I love your attention to detail. 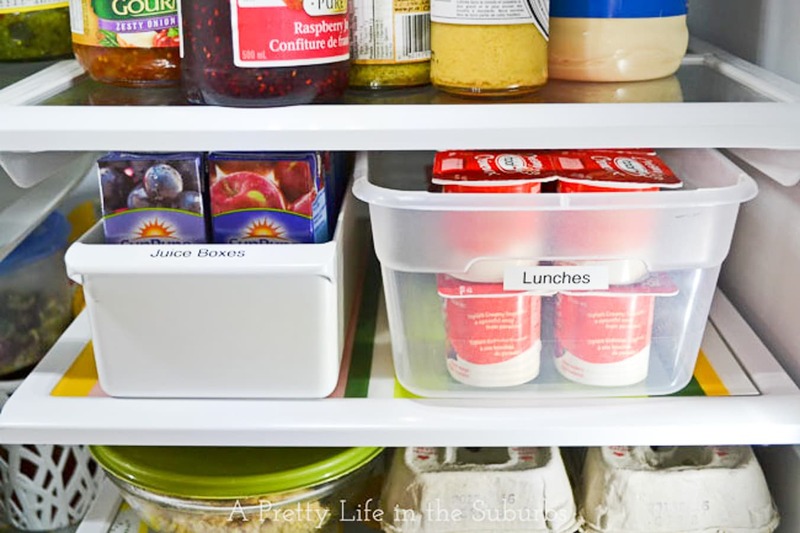 Everything from the decorated jars to lining the refrigerator shelfs. You’ve given me a few great ideas. Love that coffee maker ! I really don’t like the look of most coffee makers, so can you tell me about yours, please ? Brand ? I love all your ideas. I have a tiny kitchen with very little cabinet space. 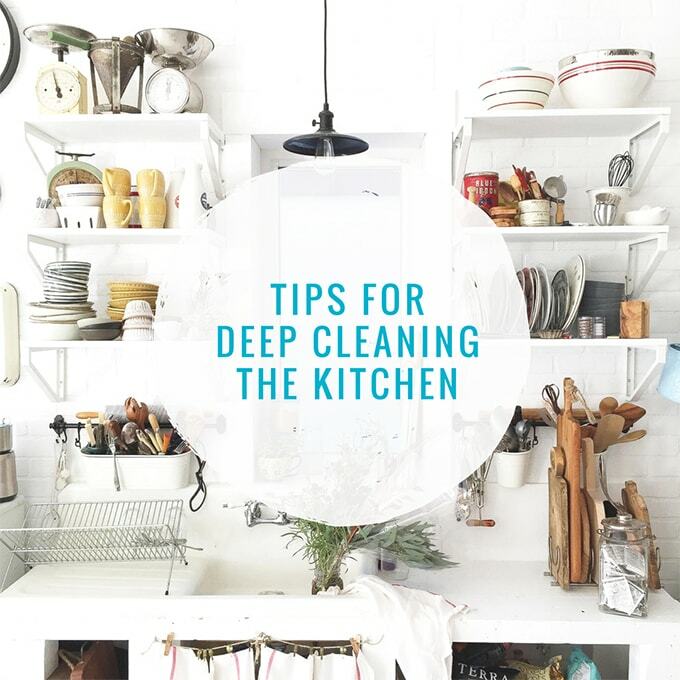 I ended up using my stainless steel measuring cups, colander and pot lids as wall decor in my kitchen to save space in my cabinets. 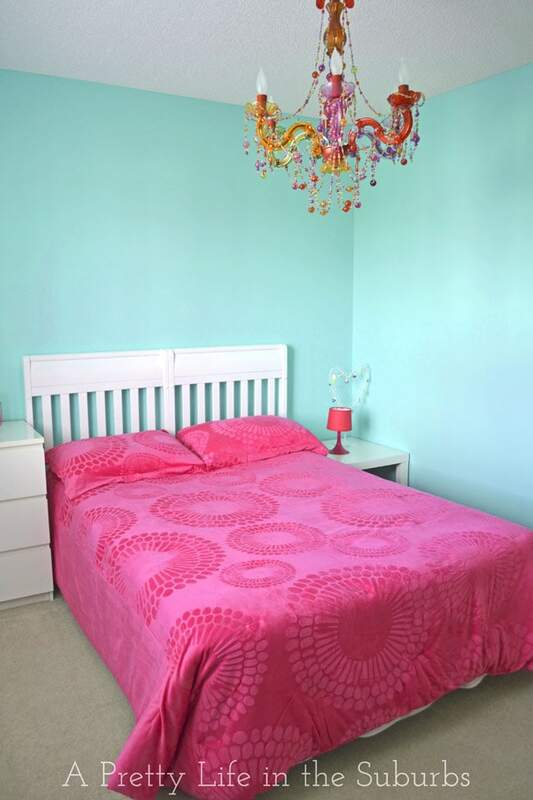 I’ve actually had folks ask me where did I get the art on my wall! It’s when I take a piece down and show them that it’s made up of my kitchen utensils that they’re astonished at my creativity. Hello from Canada! 🙂 I’m so happy you found some useful tips! Thank you so much for stopping in!